Elegance and fineness, minerality and pleasure; these are Villa Russiz wine canons. A recognized and valued style founded on a formidable ally: the territory. The link between land and wine was born in 1868 in Villa Russiz, when Count Thedor de La Tour, a visionary agronomist, creates a state of art winery. Villa Russiz was founded on 15 February 1868 with the marriage of Elvine Ritter von Zahony to Theodor de La Tour. Elvine's dowry, Villa Russiz, turns out to be an area which is still particularly conducive to the cultivation of vines and for producing wines of an exceptional quality. 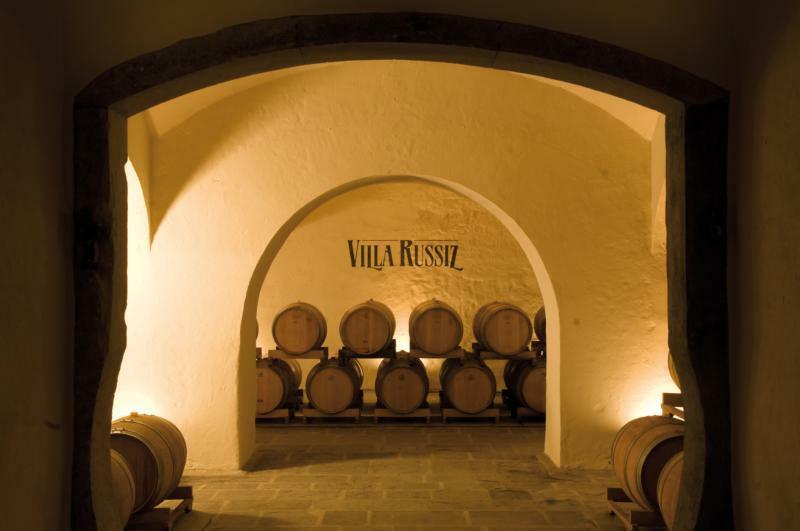 Today, the passion for wine-making is stronger than ever at Villa Russiz. 50 of the 100 hectares that make up the estate are cultivated as vineyards, rewarding this same passion with exceptional, elegant wines. The Villa Russiz Foundation red and white wines, made with autochthonous and international varietals, are constantly highlighted and continue to win recognition from prestigious guides and magazines in Italy and abroad. The wines are part of the Collio controlled nomination of origin, as are their varietals: an elegant Sauvignon de La Tour; a Gräfin de La Tour, a refined chardonnay; a Graf de La Tour, a velvety merlot and the Défi de La Tour cabernet sauvignon. Les Enfants, the only non-doc exception is a blend of grapes with a name that recalls the estate's historical commitment within the social sector. In terms of taste, Les Enfants evokes the most characteristic nuances of the Collio territory thanks to its pinot bianco and grigio base, and small percentages of ribolla and sauvignon are added to complete its harmony and freshness.